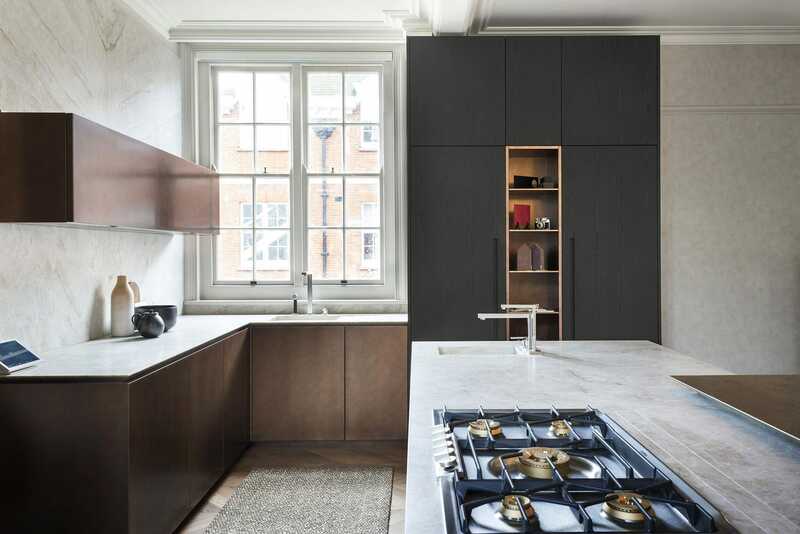 In London, from the regeneration of a historic university complex, a refined and well-finished living space was born. 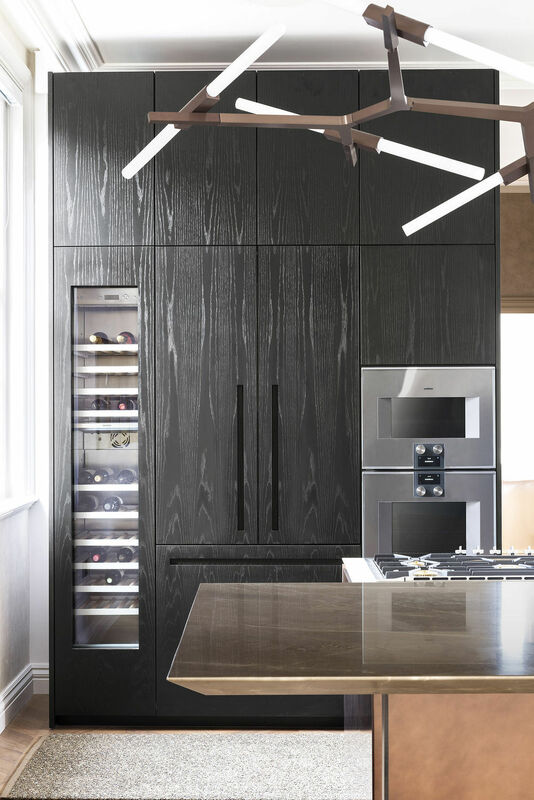 A unique blend of elegance, functionality and quality, with precious, warm and welcoming materials; sober and sophisticated lines, carried out with great care, embellish the whole project. 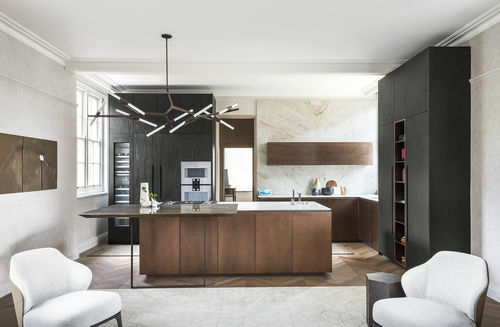 The open-plan kitchen, that leans out on the living room, develops on an angular layout with central island. 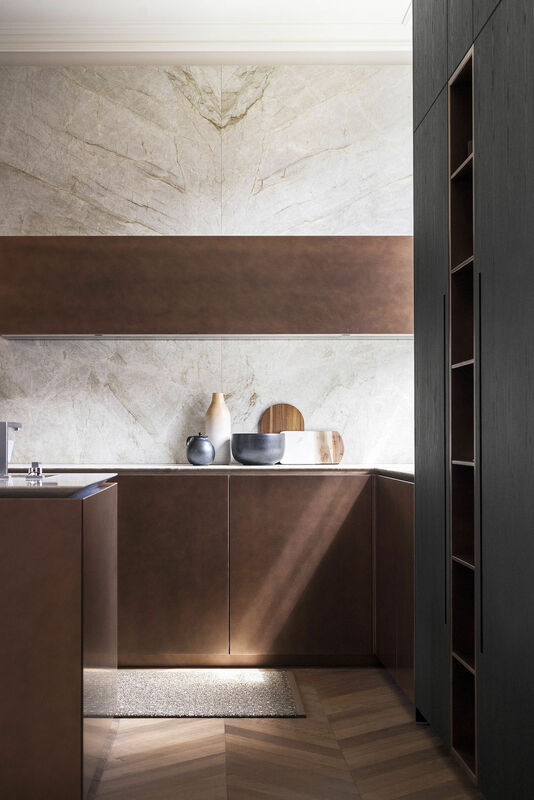 A sophisticated combination of stone, wood and changing metallic special lacquers characterize the kitchen project: copper doors on T30 concept, worktop in natural stone, materic dark oak for the tall cabinets with inside handles, made on D90 concept. A cantilever table in Bronze Amani stone extends from the island to the living room, suspended on a custom made light metal frame. The large full-height columns incorporate open-style niches, sideboards with drawers, boiler compartment, a large refrigerated cellar, two ovens, a dish warmer, a fridge and a freezer by Gaggenau. 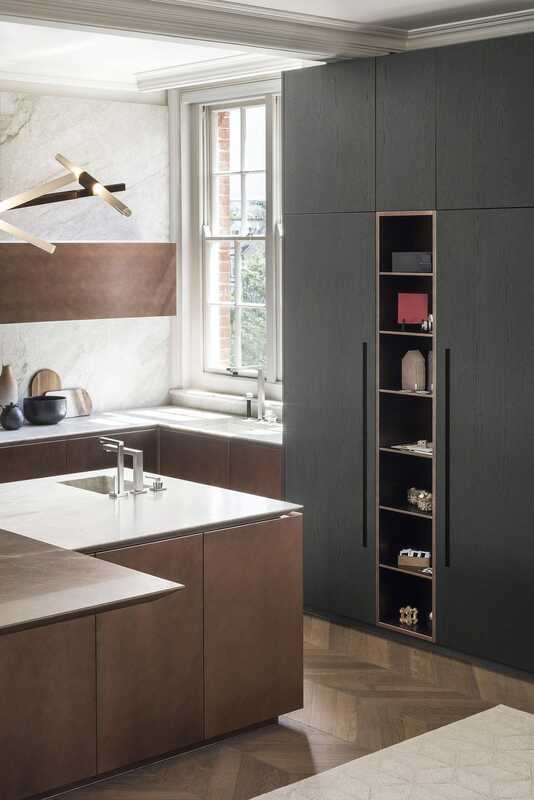 The bases are fitted with drawers, baskets, large technical compartments, separate recycling bins and a dishwasher by Miele.